Churches often have questions about how to modernize and present themselves in a current and relevant light in order to more effectively reach their local community. While there are a variety of ways to go about moving toward this goal (having a dynamic website, using fresh graphics on bulletins, updating the church building itself, etc. ), one strategy is to incorporate creative videos into the sermon and announcements. 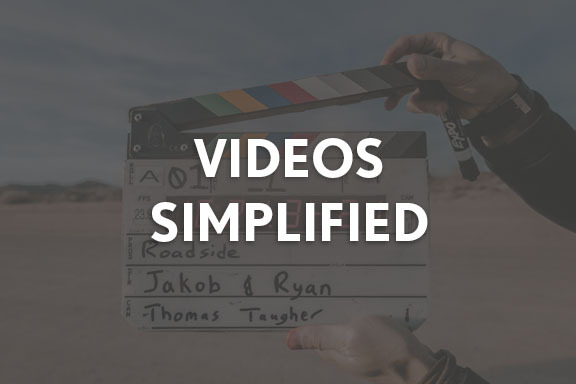 This can be intimidating for churches that don’t have much experience with creating videos, especially if there is little to no budget available for their production. Dave Hartland lays out some good tips for doing video on a budget and refers to a variety of online resources for tutorials and how-to guides, in addition to some basic tips regarding cinematography and editing. He notes that it is important to make the most of the resources you have, and to be intentional about continuing to learn new techniques. Setting up a good shot that is free of audible or visual distractions is also key, so that when it comes time to edit, you have better raw materials to work with and can focus more on elements that add interest and create a polished look.